Pete Hermanson. November 16, 1994. ​​Although dairy and grain production has always been a notable aspect of the Woodland Farms organization, the Hermansons also understood the importance of diversification in agriculture. 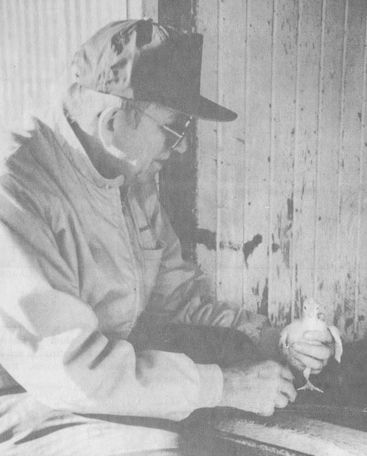 Ted Hermanson first introduced turkey farming to Woodland Farms in 1946. With only two small brooder houses, Ted began selling turkeys locally, but by 1948, Woodland Farms began selling turkeys to the Ellsworth turkey plant. When turkey farming became popular in Iowa in the 1940's, it was usually done free range. The industry has changed since the 1940's, with most farmers using an in-house method. This helped expand production and allowed Woodland Farms to become a significant turkey producer. Woodland Farms is also a strong contributor to Iowa, Midwest, and national organizations that discuss, support, and expand upon the process of turkey farming. Peter Hermanson, the eldest son of Leonard and Mildred Hermanson, has always understood the importance of involvement in the agricultural community. Pete has been the President of the Iowa and National Turkey Federation, the Agriculture curriculum advisory board at Iowa State University, Story City’s Economic Development’s Board of Directors, and the Roland Story School Foundation board. Pete Hermanson's passion for Iowa farming was truly expressed through his involvement in the creation of West Liberty Foods in 1996. The Louis Rich turkey division of Oscar Mayer announced it would close its West Liberty location if the plant could not be bought out. Knowing the impact this could have on Iowa families, turkey farmers throughout the state joined together to create the Iowa Turkey Growers Cooperative. Pete Hermanson was a member of this cooperative and helped create one of the leading protein manufacturers and suppliers in Iowa. In 1988, Pete Hermanson, then president of the National Turkey Federation, was honored with an invitation to the the White House for the National Turkey Thanksgiving Presentation. Every year shortly before Thanksgiving, the White House is presented with a domestic turkey by the National Turkey Federation. 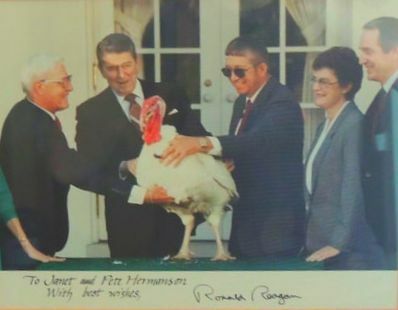 A Woodland Farms turkey was chosen to present to Ronald Reagan during his second term as President. Pete and his wife Janet were invited to the White House to personally award the healthy Woodland Farms turkey to the fortieth President of the United States of America. 1948: Woodland Farms begins farming turkeys. 1975: Woodland Farms had a total of 7 finishing barns, along with several brooder barns. 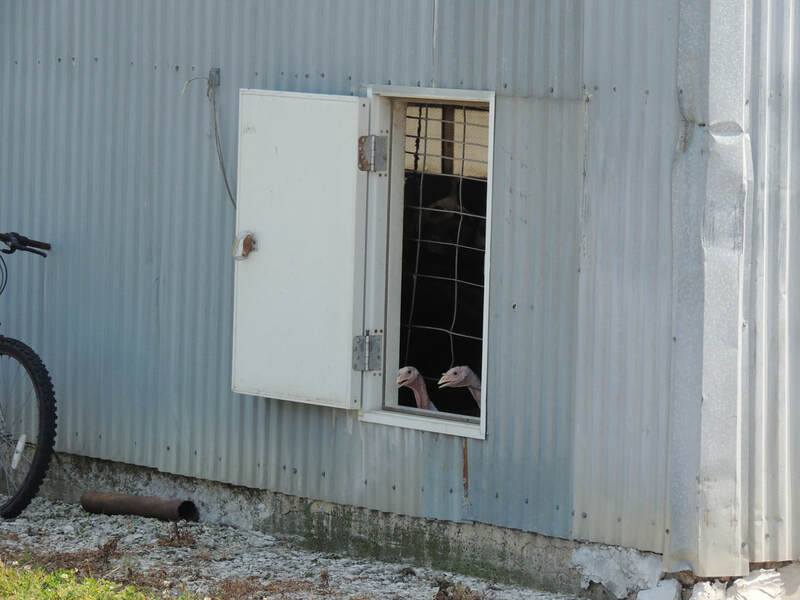 These buildings housed nearly 100,000 turkeys. 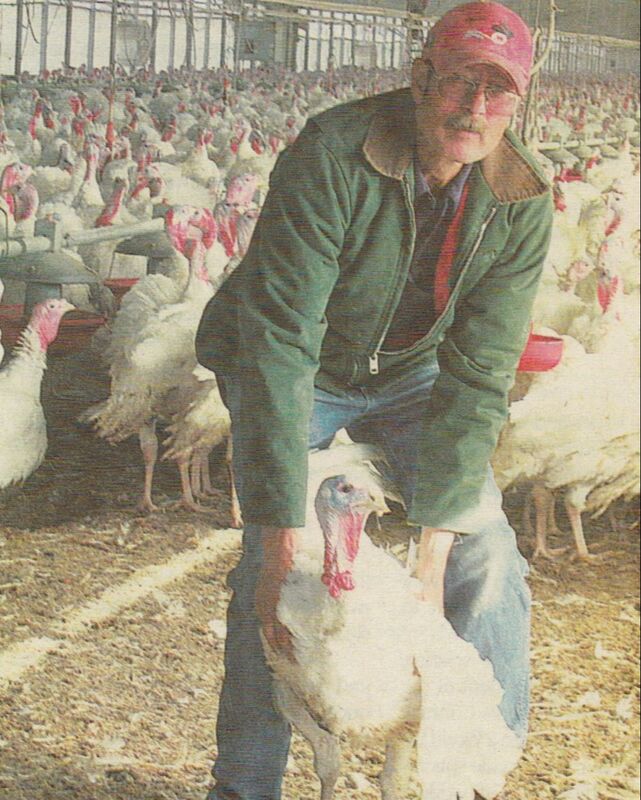 1993: Woodland Farms has produced between 200,000-250,000 turkeys annually for 20 years. 2017: Woodland Farms produced 300,000 turkeys annually. Pete and Mike Hermanson, 1985. By 1985, Woodland Farms was not only diversifying production, but adapting technology as well. A major technological change was the conversion to computerized farming. Alan Hermanson is a fourth generation member of the Hermanson family who, besides his time in the military, has spent his whole life in Story City. He graduated from Iowa State in 1973 with a Bachelor's degree in Agricultural Economics. Al always enjoyed tinkering with machines and considers himself the trouble-shooter at Woodland Farms. This skill sparked his interest in computers, and eventually lead to the computerization of farm production. Al's brother Pete and Pete's son, Mike, also showed interest in computers. 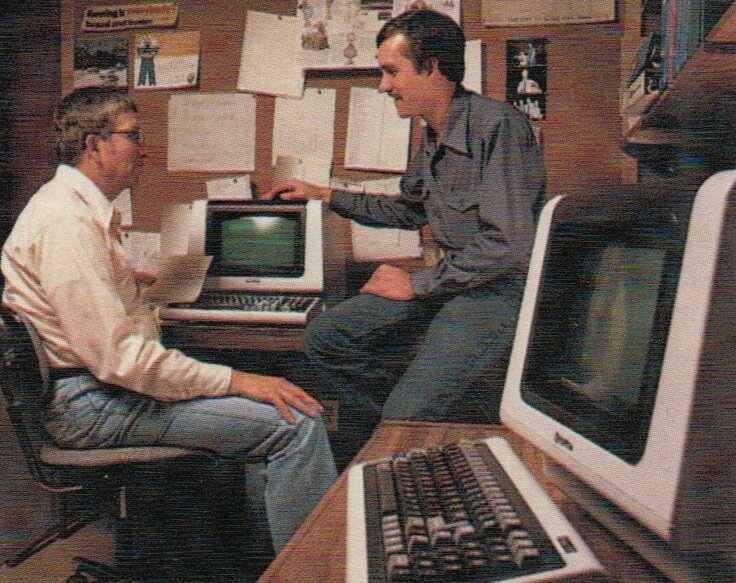 This lead to Woodland Farms purchasing their first computer in 1981, which was primarily used to document Woodland Farms different profit centers. Al, Pete, and Mike experimented with different software that allowed them to create budgeting spreadsheets and financial projections until they found a program that best suited the needs of Woodland Farms. Although this may seem like a natural expansion for a business in the twenty-first century, computerization was more of a gamble in the 1980's. Woodland Farms ability to adapt to computerized technology provided the support any farm needs to grow successfully. Since Woodland Farms first began farming turkeys in 1948, members of the Hermanson family have worked tirelessly to improve and update the organization's techniques. 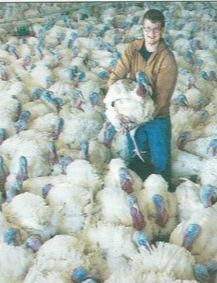 By 2009, Woodland Farms was operating with an advanced computer system to provide optimal housing and feeding for its turkeys. This system controlled the temperature inside holding barns and dispensed food and water hydraulically. Al is Executive Vice-President of Woodland Farms and has overseen the day-to-day aspects of running such a large and intricate organization. As technology advances and adapts, so does management at Woodland Farms. Nick Hermanson, son of Al and Karen Hermanson, has joined the family business. 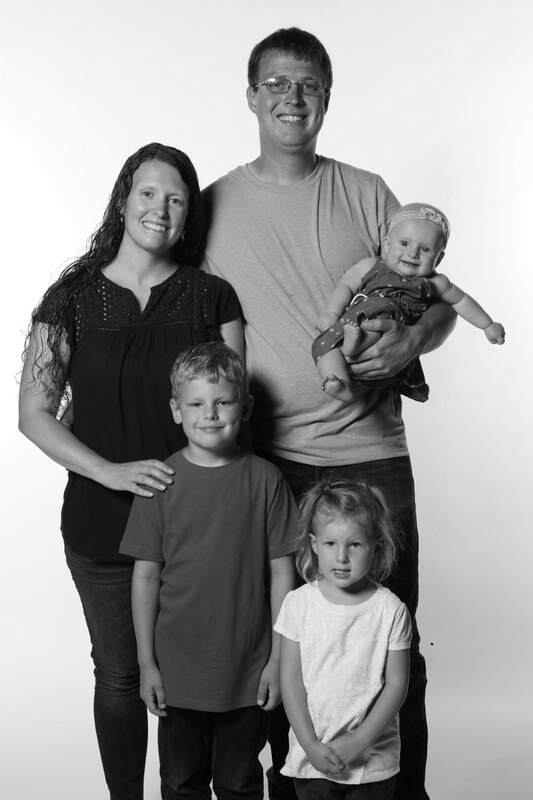 After graduating with a degree in Agricultural and Biosystems Engineering from Iowa State University, Nick returned to Story City to help his family run Woodland Farms. Like his father, Nick has implemented changes to how turkeys are raised on Woodland Farms. Nick continues to advance technology with tunnel-ventilated barns and fogging systems that help maintain the air quality and temperature within the birds confinements. The Hermansons also work closely with professionals to monitor the health of the birds. Two-thirds of the grain produced on Woodland Farms goes towards feeding turkeys, and the turkey manure is used for crop fertilization. This gives Woodland Farms an advantage over corporations that do not produce their own manure and also allows the farm an opportunity to repurpose its waste. Woodland Farms gained its recognition from the dairy routes, the ice cream parlor in Ames, and the Thanksgiving Day turkeys, but grain farming is also a significant product to Woodland Farms Corporation. Growing up on Woodland Farms, Mike Hermanson remembers spending his childhood bailing hay and learning to drive a tractor at the age of 10. He attended Iowa State University and received a degree in Agricultural Engineering, but his studies were interrupted when the grain manager of Woodland Farms quit. 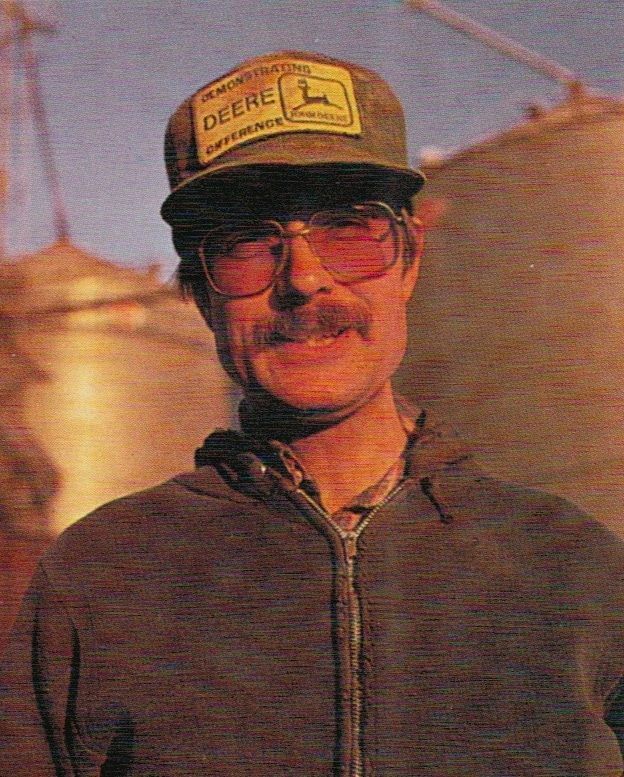 In order to get the grain planted on time, Pete asked his son if he would be willing to return to the farm and manage the planting for the rest of the season. Mike agreed, and continued the family tradition. After completing his degree in Agricultural Engineering, Mike returned to Woodland Farms to be the manager of grain production. Over the years, conservation and efficiency has become a priority of Woodland grain farming. Mike enjoys the innovative aspect of farming and trying different conservation approaches. "I would say from early on, I liked to try new things." 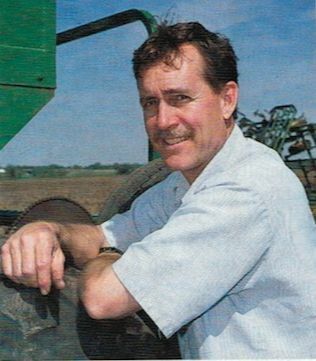 In 1979, Mike tried no-till grain farming, which does not disrupt the soil with tillage. Woodland Farms later converted to ridge-till for several years, eventually settling on a 30 inch strip-till system the last 12 years. Conservation has always been a focus. Chris, Macy, and Jenna (Hermanson) Royer. ​The Hermanson family continues to grow as the 2010s have ushered in the seventh generation of Peter Anderson's descendants. Mike and Kim Hermanson's daughter, Jenna, married Chris Royer in 2010. They met while both attending Iowa State University. Chris graduated in 2006 with a Business Management degree. He joined Woodland Farms in the spring of 2008, the fall of 2017 will be his 10th harvest. Chris has gradually taken over the financial responsibilities from his grandfather-in-law Pete and he is also involved with crop production. 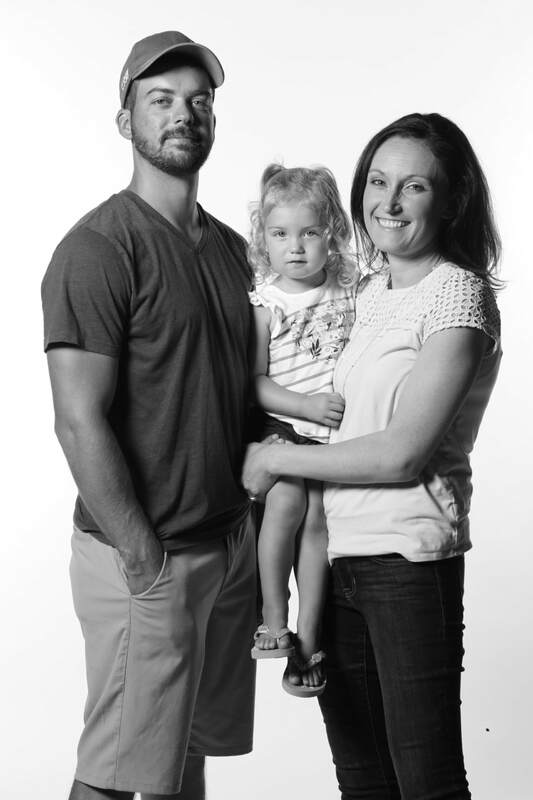 Jenna and Chris have one daughter, Macy, who was born in 2015. The plan for the future is that Chris and Nick Hermanson will work together on managing Woodland Farms. Katie, Nick, Gavin, Charlotte, & Lucille Hermanson, 2017. Nick, Al and Karen's son, has started working to improve technologies both on the turkey production side, as well as, the crop side. He has created systems using new technology for field applications, grain management and leads the farm on technology development. In 2009, he married Katie Craig, who also grew up in Story City and is a 2007 graduate of the University of St. Thomas in St. Paul, Minnesota. Coming back home, she began her teaching career as a high school history teacher at Roland-Story. She now shares their love of agriculture with the youth of Story County as the County Coordinator of Ag in the Classroom with Story County Farm Bureau and teaching agriculture across the county. Nick is also currently the Story County Farm Bureau President and represents Woodland Farms on the Board of West Liberty Foods. Nick and Katie are raising their three children, Gavin, Charlotte, and Lucille with a love of farm life just as so many generations have done in this family.